Today I am featuring poet, writer, and online haiku friend, Robyn Hood Black. Robyn: Hattie Ever After (Kirby Larson), The Art of Haiku – Its History Through Poems and Paintings by Japanese Masters (Stephen Addis), Make Lemonade (Virginia Euwer Wolff), some art books, and picture books by Jean Craighead George and Susan Pearson. MsMac: Ooh, I will need to look up the Addis’ book and I just finished Make Lemonade. What was your favorite book as a child? Was poetry something you enjoyed as a child? Robyn: When very young, probably Are You my Mother? (P. D. Eastman) and The Poky Little Puppy (Janette Sebring Lowrey) and other Little Golden Books (really). I also still have my set of Walt Disney records/storybooks that I acted out repeatedly! My school book fair money went to nonfiction animal books. Later I loved the Joy Adamson Born Free series as well as Are You There God? It’s Me, Margaret (Judy Blume) and It’s Like This, Cat (Emily Cheney Neville). I did enjoy poetry; I remember loving “Eletelephony” by Laura Elizabeth Richards. Ms Mac: Where’s your favorite reading spot? Robyn: On a pretty day, out in the swinging chair hanging from an old dogwood tree. Most of the time, on the couch with one or more dogs. Robyn: It varies! A perfect day is reading first thing in the morning, then writing during the latter part of the morning & mid-day, then working on some art (at some point catching up on email and blogging). Deadlines often involve large amounts of midnight oil. And while I love school visits and conferences, these change up the creative schedule for sure. MsMac: Which is your favorite first draft or revising? Robyn: I like the thrill of a first draft, and the relief of revising, so it depends! When revising, it’s nice to have something already there to work from. Robyn: A little tornado-ish at the moment. I’m lucky to have my own nice-sized office space with a built-in desk for my computer as well as a big old desk for art, plus another spot for writing/drawing in the corner. Cabinets, bookshelves, closets – all full! Cardinals and squirrels at the two windows. My old office cat, May, loves to rearrange things and play with computer buttons. I often write a first draft, though, with paper and pen in another part of the house or outside. Robyn: I’m very excited to have just written a poem for a book for the very youngest listeners/readers, by the incredible Lee Bennett Hopkins. A dream come true! 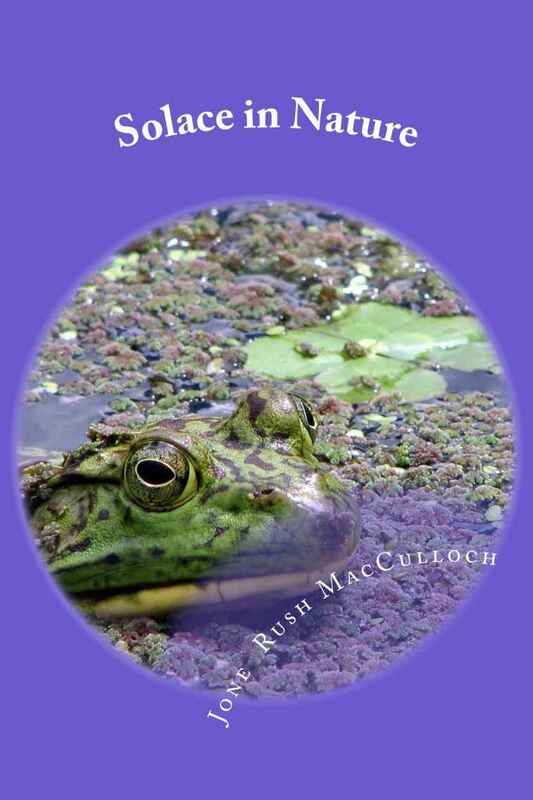 I just finished my fourth year of writing nonfiction animal profiles for a national character education program, Core Essentials. I always have poetry in the hopper. I’m also illustrating (with relief prints) a collection of original children’s poems that I hope will someday find a home. And I have lots more art I want to make for my art business/Etsy shop, artsyletters. Robyn: Making art. Hanging out with my husband and kids (one in college and one about to be) and our animals. Prowling antique shops. Walking and conversing with birds. Not doing enough housework. MsMac: How did Sir Mike and Wolves come about? Robyn: Both resulted from meeting editors at our SCBWI Southern Breeze (Ga./Ala.) conferences. I’ve volunteered with SCBWI for years and can’t say enough good things about it. Joining is the first thing anyone serious about writing or illustrating for children should do. MsMac: Besides having haiku published in journals, have you put your haiku in a collection? Robyn: Not yet – still working on building up a body of work. But I’d love to do that down the road. MsMac: Where did your interest in haiku begin? Robyn: There used to be an online magazine of haiku for kids, Berry Blue Haiku, edited by Gisele LeBlanc. As a children’s writer, I got involved with that and quickly fell into reading everything I could about the history of haiku as well as lots of contemporary journals. I was immediately hooked. Now I submit regularly to those journals, and though Berry Blue is no more, Gisele and I remain friends. MsMac: As you know the haiku in the adult writing community is structurally not as confining as the 5-7-5 that is taught in schools. How do you teach students to write haiku? Robyn: I explain to students that the 5-7-5 is not an exact way translate the haiku structure for English, because Japanese sound units and English syllables are not interchangeable. Our focus then becomes creating a short poem of typically three lines – ideally with two different images. Haiku’s traditional emphasis on the natural world is a wonderful way to bring kids into listening to and writing these poems. I love taking kids outside when possible! Most respond enthusiastically to such a short form, and to nature. Robyn: A mom told me once that her young son kept wanting to go the doctor’s office. She finally discovered it was because he wanted to read SIR MIKE there, and after she bought him his own copy, he would only answer to “Sir Mike” for a short time. This is just a simple easy reader with no fancy awards or anything, and yet it fueled a child’s imagination and give him a positive attitude toward reading. That’s enough for me. For older kids or adults, if something I write or draw creates a connection that has meaning for them in some way, I’m honored and happy. Robyn: Coffee in the morning, tea in the afternoon. MsMac:Dance: funky chicken or the tango? Robyn: The last time I tried some all-out-funky dancing (at a church youth group event three years ago), I tore my Achilles. I’d better stick with the Hokey Pokey. Perfect. Robyn, thank you for stopping by. You can read more about Robyn at her website. This entry was posted in Haiku, Interview Wednesday, writers and tagged Haiku, Interviews, Poetry, Writing. Bookmark the permalink. Hi MsMac. Hi Robyn. It’s nice to see you here. Your day sounds a lot like mine, at least until 3, when everything goes crazy! It’s funny, I don’t make art but that last quote really speaks to me. MsMac/Jone, I’m so honored to be on your blog today – thank you! Liked the story about Sir Mike! I’m glad the mom shared it with you. Tabatha, thanks! I’ll always treasure that story. Renée, kindred spirits indeed… but what can I say about Disney? I grew up in Orlando; loved those records and was still a little girl when Disney World opened there! Hi, Shannon – LOVE that description of your literary “space” esp. with your furry companions! What I love most about Robyn’s poems is the way she writes about universal experiences that are familiar to everyone. For instance, her poems in The Poetry Friday Anthology for K-5–“Trouble on the Trail” and “Snack Rules”–are about poison ivy/oak and a mouth sticking shut from peanut butter, things that I think we all can identify with–but uncommon topics for poems. In the middle school version of our book, Robyn’s “Locker Ness Monster” talks about forgetting a locker combination–another topic that brings long-forgotten memories back to many of us! Janet – thanks so much! Do you see me smiling from here? Such an honor to have poems in both of those volumes of magic you and Sylvia have brought to life. Wonderful interview Robyn and Jone. Robyn, P.D.Eastman was a favorite of mine (Go Dogs Go was the first book that I remember reading on my own.) I share your feelings of relief with revision–it’s so much easier to tinker and play with something on paper/screen. And housework is overrated. Jone–I posted the poetry postcard that I received from your school on my blog, and a poem that it inspired. I hope you’ll share it with Ethan (http://buffysilverman.com/blog/?p=164) Thanks! Buffy, thanks on all fronts – especially re housework. ;0). Love GO DOG GO too, and it was one of the first books my kids ever read. I’m late to reading, but loved hearing all about your likes and dislikes and views, Robyn. Go Dog Go – a favorite for so many. The first book my grandson thought he could read (memorized of course). Early reading makes good wordsmiths! Thanks Jone for the interview!